Surfing today evokes many things: thundering waves, warm beaches, bikinis and lifeguards, and carefree pleasure. But is the story of surfing really as simple as popular culture suggests? 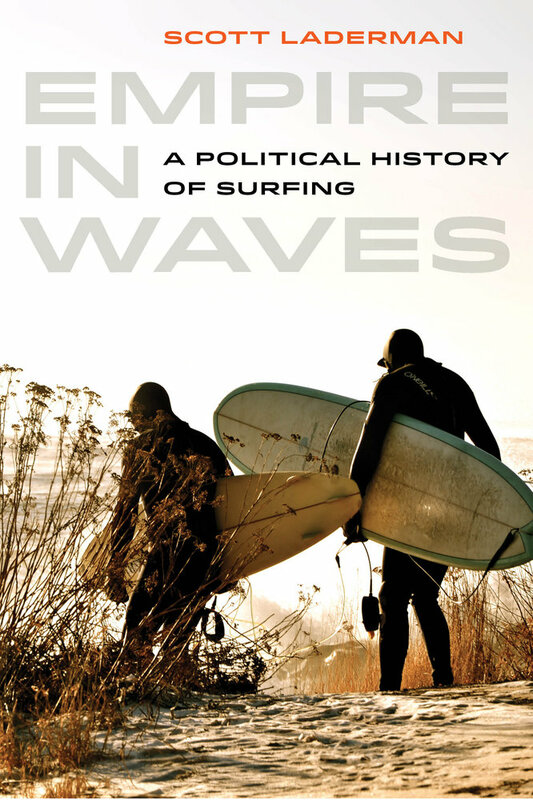 In this first international political history of the sport, Scott Laderman shows that while wave riding is indeed capable of stimulating tremendous pleasure, its globalization went hand in hand with the blood and repression of the long twentieth century. Emerging as an imperial instrument in post-annexation Hawaii, spawning a form of tourism that conquered the littoral Third World, tracing the struggle against South African apartheid, and employed as a diplomatic weapon in America's Cold War arsenal, the saga of modern surfing is only partially captured by Gidget, the Beach Boys, and the film Blue Crush. From nineteenth-century American empire-building in the Pacific to the low-wage labor of the surf industry today, Laderman argues that surfing in fact closely mirrored American foreign relations. Yet despite its less-than-golden past, the sport continues to captivate people worldwide. Whether in El Salvador or Indonesia or points between, the modern history of this cherished pastime is hardly an uncomplicated story of beachside bliss. Sometimes messy, occasionally contentious, but never dull, surfing offers us a whole new way of viewing our globalized world. Scott Laderman is Associate Professor of History at the University of Minnesota, Duluth, and the author of Tours of Vietnam: War, Travel Guides, and Memory. "Laderman has joined a sophisticated discussion of the global history of surfing to a careful examination of its relationship to the cultural politics of United States engagement with the wider world. The chronological frame and impressive transnational source base he utilizes allow him to consider not only the long arc of surfing history but also to root his discussion of its relationship to American diplomacy and global politics in a deeper historical frame." "Laderman's book provides a much needed ballast to the history of surfing, orienting it in a global historical context that allows us to gaze at the activity through the lens of the political. This is a much needed addition to the narrative surf canon that has largely overlooked the socio-political impacts of surfing as it has evolved into a multi-billion dollar global industry." "This book combines the rich detail of first-class historical research with the insight of a lifelong surfer, tracing the rise of surfing in the context of the rise of imperialism and global capitalism. In doing so, it exposes the darkness that often lay at the heart of the search for the perfect wave. This is a book that must be read by historians of leisure, sports scholars and critically-minded surfers." In this TED-Ed video, Empire in Waves author Scott Laderman shares the complicated and hidden history of surfing.